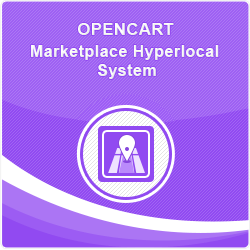 Opencart Marketplace Hyperlocal System connects the customers with local stores and also transforming the shopping experience of the customers. The seller can easily add the location where they can ship their products. Customers can enter their location and check the products and sellers availability in that location. This module allows delivering seamless services on time. Sellers and admin can add their location according to which, their products will display to the customer. The seller and admin can also add shipping rate according to the location range. - For checking the customer view, you can click on the "Front End" button and after login go to the account page. - For customer login, you have to use these credentials. - When a customer will visit the website then a pop up will show to enter the location. After saving the location, a customer can find the available seller and products at that location. - Click on Add location link to add the location to the seller. - The Seller can add shipping price under "Shipping list". - For vendor login, you have to use these credentials. 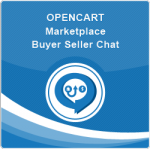 Opencart Marketplace Multi-Vendor Module will convert your Opencart site into Marketplace ..
Opencart Seller Buyer Chat module establishes a direct communication between buyer a.. The Opencart Marketplace Seller Custom Option module provides the seller to create custom.. Using this Opencart Marketplace Membership module admin can restrict the seller to a..
Opencart Marketplace Seller Buyer Chat module (Socket Based) establish a real-time c..
Opencart Marketplace The Courier Guy Shipping allows the seller to add The Courier Guy..
Opencart Marketplace DHL Shipping module provides DHL Shipping service for shipping th..